Those plasticky, bumpy pepperoni and hot cheese lava filled food products were once a thing of glory for me. When I would sleep over at friends’ houses, I would marvel at their freezers full of glorious frozen goodness. And I was always a little surprised with they casually dismissed my exaltations at their many, many options of instant food bliss. You mean you can have a waffle in, like, 2 minutes? My mom didn’t (and still doesn’t) believe in microwaves. If you wanted anything to eat, it took at least 30 minutes or more. I was so often directed toward the fruit bowl between meals. I wanted Hot Pockets, Totino’s Pizza Rolls, Little Debbies, Cheetos, and just about every other thing I wasn’t allowed to have. This bratty girl ate her fresh-from-the-garden vegetables (!) with an enormous eye roll or two. Fast-forward to present day and in the cruelest of ironies, I wouldn’t go near the frozen dinner sections of a grocery store if you paid me. But, after spotting a recipe for croque monsieur pockets, I thought maybe, just maybe, I could appease some of that youthful longing, albeit 20 years later. 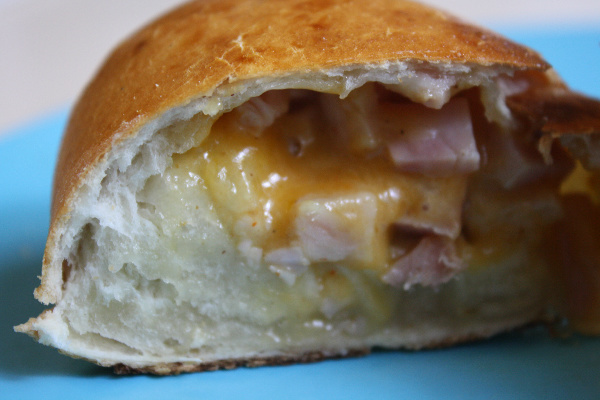 These ham-and-cheese pockets tasted absolutely nothing like the frozen variety. But I’m going to go ahead and say that’s a good thing. Preheat the oven to 425 degrees F. Mix the gruyere (or cheddar cheese), ham, mustard, nutmeg and cayenne in a bowl until combined. Squeeze the mixture together with your hands to make it compact. Brush a baking sheet lightly with vegetable oil. On a floured surface, roll out the dough and fill the dinner pockets. Step-by-step directions. This entry was posted on Sunday, August 26th, 2012 at 11:46 am and is filed under Entrees. You can follow any responses to this entry through the RSS 2.0 feed. You can leave a response, or trackback from your own site. 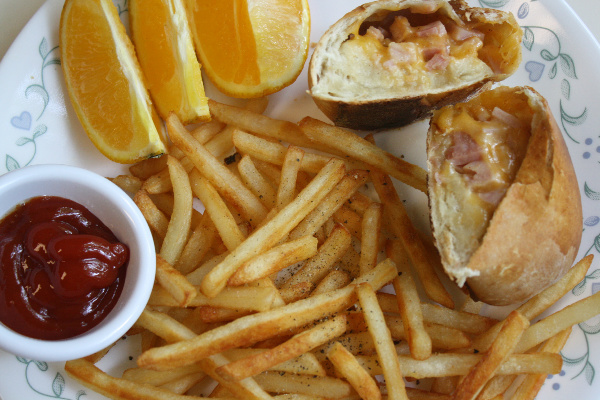 Oh how I love hot pockets!